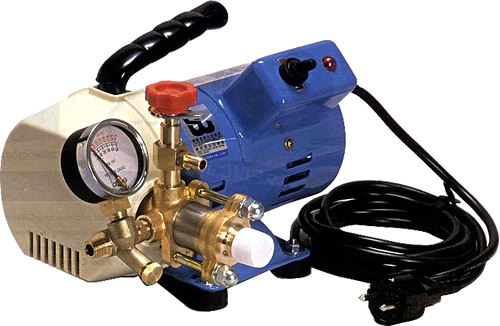 KYOWA TEST PUMP [Hydraulic] | KOYO INDUSTRIES CO., LTD. The closing valve is of special construction of Kyowa original design. 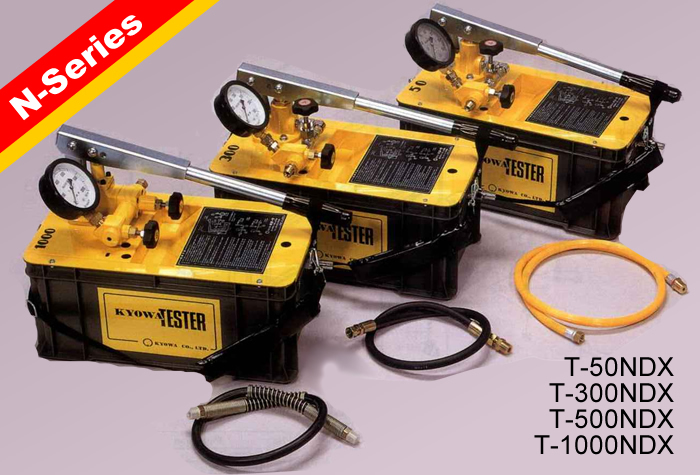 T-50N is simply connected with a 1.5m high pressure hose with one-touch coupler. T-50N shown, Configuration differs slightly for T-300N, T-500N and T-1000N. Please be sure to speeify model when you contact us. (1) Connest valves C,D to the test pipe. (2) Connect to the valve D with a connecting hose. (4) Replenish water into the water tank and then open valves A,B. Thereafter, reciprocate vertically the handle(B) till water begins to come out from the valve B after complete purge-out of the air from the pump. When the water vegan to come out, close the valve B tightly. (5) Open the valve D and feed water from the tester till water begins to flow out from the valvw C, subsequent to purge-out of the air. When water began to flow out, close the valve C tightly. 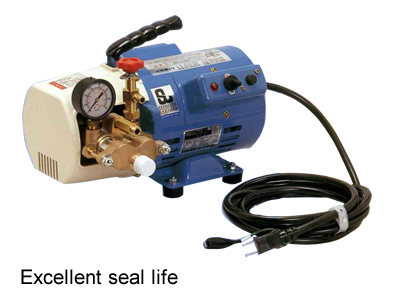 (6) When the specified pressure is reached, close the valve A tightly. ●At this time, pressure is reached, close the valve A tightly. Reversely, no-drop of pressure will show that the test pipe passes the pressure test. 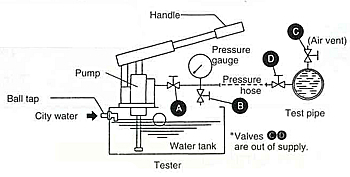 (7) After the test, release the applied pressure through the valve B. ●When continuous water feed is required, connect the ball tap to city water service line. New and Striking Pumps for Cleaning Applications from KYOWA! They are Compact, Super Lightweight, and Unbeatable in Pumping Performance. 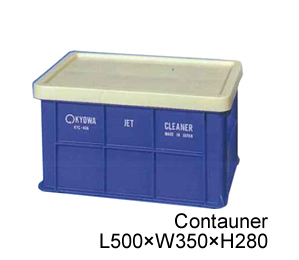 ■　Oil-less construction (no lubrication oil grease required) need no maintenance. 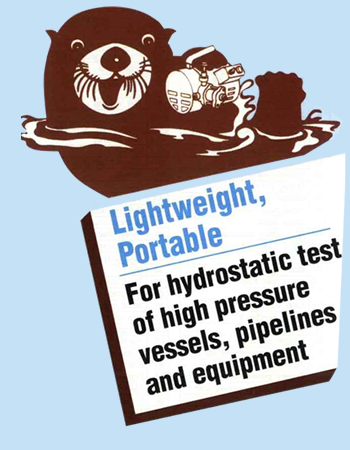 ■　High-pressure outpt comes from efficiency-oriented "no monsense" design. ■　Differential operation (one suction and two dischargers per cycle) keeps the discharge fluctuations very low. ■　Close-coupled construction eliminates problems normally associated with the motor drive, such as belt slipping. ■　Design that fully utilizes rolling frictions (utility model and design registration being applied for) keeps the starting torque to minium and provides maxmum output. 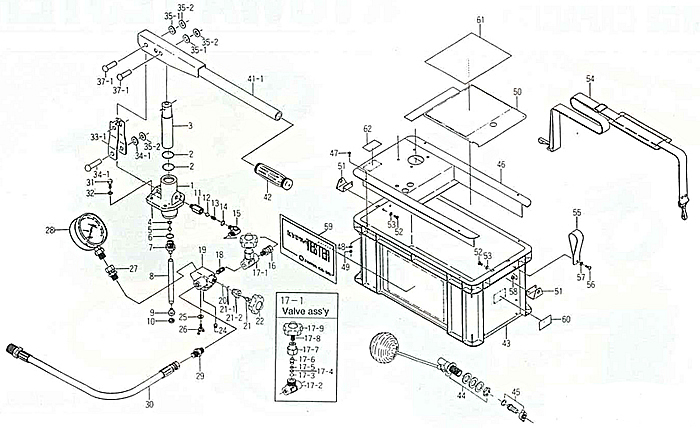 ■　Simple and rugged construction permits easy disassembly, cleaning, and re-assembly. ■　Compact and super-lightweight structure makes it handy and protabale. 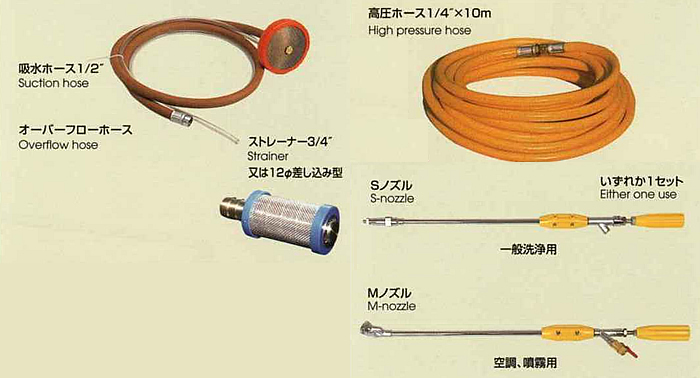 ■　Newly developed universal nozzle permits almost every washing job with ease. 2. Car engine compartment Cleaning. 3. Washing and finishing in plasterers work. 4. Food processing eqipment Cleaning. 5. Farm tool and machine Cleaning.